(Saturday, 24 June 2017) — The Palestinian Human Rights Organizations Council (PHROC) calls upon the international community to take effective measures aimed at ensuring Israel’s cooperation with mechanisms of the United Nations (UN), including its missions. 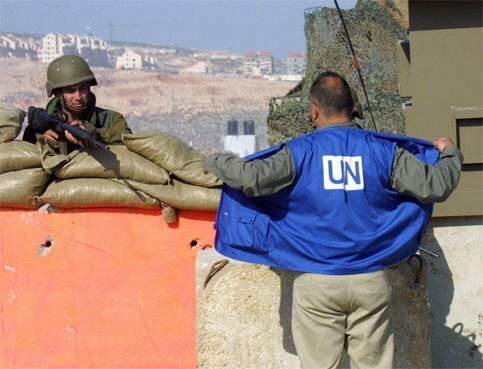 In particular, PHROC condemns the continued prevention of entry for the UN Special Rapporteur on the situation of human rights in the Palestinian territory occupied since 1967. Current mandate holder Mr. S. Michael Lynk, was appointed in 2016, and has not received any responses from the Israeli government for his requests to conduct official visits. Israel has prevented the entry of the mandate holder on the OPT since 2008. Lynk’s predecessor, MakarimWibisono, resigned due to lack of access to the OPT, and stated “my efforts to help improve the lives of Palestinian victims of violations under the Israeli occupation have been frustrated every step of the way.” Other UN-established investigative bodies such as the 2012 UN Fact-finding Mission on Israeli settlements and the UN Independent Commission on Inquiry on Gaza in 2014 have been similarly prevented from entering the OPT. Due to lack of access, mandate holders and the aforementioned bodies have had to conduct meetings with victims, organizations, and other stakeholders outside of the OPT. While such meetings serve to convey the impacts of Israel’s violations of international law, having direct access to the territory and seeing first-hand the reality of Israel’s occupation is essential. Under the Charter of the United Nations, Israel is obliged to allow the UN, including mandate holders, to access to its territory as “may be necessary for the exercise of its functions and the fulfillment of its purposes.” Accordingly, PHROC calls upon third states to ensure Israel’s compliance in allowing access to the OPT for the Special Rapporteur, as well as other UN missions and mandate holders in the future. Article 104, Charter of the United Nations. Article 105 also states “Representatives of the Members of the United Nations and officials of the Organization shall similarly enjoy such privileges and immunities as are necessary for the independent exercise of their functions in connection with the Organization.” See also Section 22 of the Convention on the Privileges and Immunities of the United Nations.